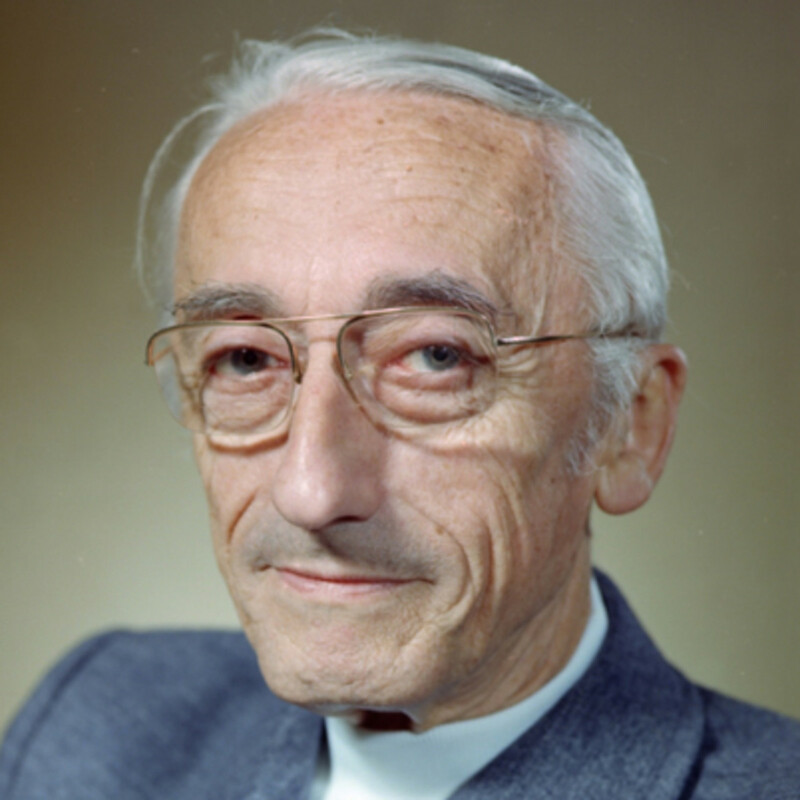 “If we go on the way we have, the fault is our greed and if we are not willing to change, we will disappear from the face of the globe, to be replaced by the insect.” Jacques-Yves Cousteau is a name with which most of us are probably familiar. Many of us remember him for his television series, ‘The Undersea World of Jacques Cousteau’. His contributions to the world went far beyond educating children and adults about the wonders of the undersea world, though. He was also a dedicated ecologist, a pioneer of marine conservation, co-inventor of the aqua-lung, a photographer, and a researcher. Jacques was born on June 11, 1910, to Daniel and Elisabeth Cousteau in Saint-Andre-de-Cubzac, Gironde department, France. His father was a lawyer who worked for American businessmen, so the family traveled a great deal. Jacques had an intestinal disorder called enteritis, which precluded him from strenuous activity and resulted in his lifelong lean physique. In 1920, the Cousteau family moved to New York, where Jacques attended Holy Name School. The family summered at Lake Harvey, in Vermont, which is where Jacques developed his swimming and diving skills. It was here that he mastered the skill of holding his breath and diving to the bottom of the lake. In his adolescent years, Cousteau showed an interest in machines, building a model crane at age 11, and a battery-operated car at age 13. At the same time, he became interested in filmmaking, and saved his money to buy a home movie camera. Upon receiving it, he immediately took it apart and put it back together to see how it worked. Jacques was not a model student, and by the time high school rolled around, he was getting into trouble. He was expelled from high school for breaking 17 of the school’s windows. His parents were well off by this point, so they sent him to a strict and prestigious, military-style boarding school called Stanislas Academy in Paris. Afterward, he passed the rigorous entrance exam to the French Naval Academy, following which he joined the French Navy. On his first, year-long training cruise, Jacques brought his camera and documented everything he saw, including the natives of every country he visited. He also created a waterproof housing for his camera so that he could film under water. At the end of this training, he enrolled in the navy’s aviation school. He excelled at this endeavor and dreamed of becoming a pilot. That dream, however, ended with a car accident that nearly lost him an arm, not to mention his life. When his doctors suggested amputation, he flatly refused. He eventually regained the use of both of his arms by swimming vigorously to regain his strength. In 1936, Jacques met Simone Melchior who, at the time, was 17, at a cocktail party. Simone was the daughter of a wealthy family involved in industrial gasses. The two courted for a year, and were married on July 12, 1937. The couple had two sons, Jean-Michel and Philippe Pierre. Simone was not only Jacques’ wife, but also his business partner. Her family connections were instrumental in Cousteau’s business ventures, and she was with him during his major underwater accomplishments. She spent many years on board their ship, the only woman on an all male crew. During World War II, Jacques joined the French resistance. He had some unique abilities, which made him especially suited to his role. Cousteau, along with naval lieutenant Philippe Tailliez and Frederic Dumas, a civilian who had dived for pearls in the South Seas, began working on what would become the first self-contained underwater breathing apparatus (SCUBA). They experimented with aviator goggles and pearl diver spectacles to develop watertight eyewear, so that they could see what was beneath the surface. They used inner tubes to make masks, and garden hoses to make snorkels so that they could stay under water for longer periods of time. Cousteau also experimented with an underwater breathing apparatus, which involved a bag of lime and a tube. When a diver exhaled into the tube, the carbon dioxide would react with the lime, creating oxygen for breathing. What he didn’t count on was that, at a depth of 33 feet, breathing pure oxygen could be lethal. At the time, he thought he could go up to 45 feet below the surface. As a result, he nearly died twice, after which he abandoned his invention. Cousteau then worked with Emile Gagnon, with financing from Simone’s father, to develop what would be the first aqualung. Gagnon used a valve that was originally intended to allow wartime vehicles to run on bottled cooking gas, and created a regulator which would provide air at the same pressure as the surrounding water. This ensured the diver’s lungs wouldn’t collapse, and therefore keep them from drowning. The original prototype involved two air tanks, two connecting hoses, a regulator valve, and a mouthpiece. He later created two miniature versions for his sons, so they could take up the family obsession, too. In 1946, the aqualung became a commercial success, and the undersea world opened up to human observers. Cousteau continued to improve his underwater photography techniques, using them to spy for the French Resistance during the war. After the war, the aqualung was instrumental in allowing divers to locate and remove enemy mines. Cousteau received the Legion d’Honneur, France’s highest decoration, for his work during the war. Cousteau and Gagnon wrote a book entitled Le Monde de Silence, or The Silent World, which documented their work on the development of the aqualung. In addition, Cousteau took his hours of film footage and transformed it into a film by the same name. It would earn him the first of three Oscars, as well as the Palme d’Or, and would be the beginning of a long career in film and television. In 1950, Cousteau partnered with Loel Guinness, of the Guinness Brewing Company, to purchase a retired Royal Navy minesweeper. The 400-ton wooden ship was called Calypso, and it became Cousteau’s oceanographic research laboratory and film studio for the next 46 years. The film footage taken during dives from Calypso was used to produce the television series, “The Undersea World of Jacques Cousteau,” which ran for seven years. In doing so, he revolutionized the documentary style of television, narrating the series in such a way as to help the raw footage inspire awe in its viewers. As a result, his films and television series won Oscars and Emmy’s. No other documentary had ever before captivated its audience so thoroughly. The sharing of his film footage also provided a vehicle for illustrating how human’s pollution of the oceans was detrimental to the planet. Sub sequentially, this began an environmental movement. Nicknamed “Captain Planet, in 1960, he successfully campaigned to end the dumping of radioactive waste in the Mediterranean. In 1974 he established the Cousteau Society, which raises funds to help protect the environment. In 1992, at the Rio Earth Summit, he put forward a petition that received 5 million signatures, designed to protect the rights of future generations. Cousteau was involved in many other projects and inventions, including the development of the first one-man jet-propelled submarine and the first livable underwater habitats. In addition, eh developed the Turbosail, which allowed large vessels to cut fuel usage by using the wind to help propel them. He also pioneered a method for raising sunken ships buried in fossil mud, which is still in use. Cousteau collaborated closely with his son, Philippe, and the two planned that Philippe would take over Jacques’ work when he died. Philippe, however, was killed in 1979 in an accident with his Catalina aircraft, called the Flying Calypso. This proved devastating for the entire Cousteau family, as well as the crew of the Calypso. In 1990, Simone Cousteau died of cancer at the age of 71. Her contribution to Jacques’ successes and achievements was incalculable, and the couple was married for 53 years. Jacques is quoted as saying of her, “She lives to spend hour after hour in the wind and sun, watching, thinking, trying to unravel the mystery of the sea.” She received a full military funeral, and her ashes were scattered over the Sea of Monaco. After his mother’s death, Jacques’ son Jean-Michel was unpleasantly surprised to learn that he had a brother and a sister by Jacques’ long-time mistress, Francine Triplet, who was six years younger than Jean-Michel. Jacques and Francine had been together for 15 years; they were married in 1991, and they remained so for the rest of Cousteau’s life. In 1996, a barge in Singapore Harbor accidentally hit the Calypso, and it sank. Toward the end of his life, Jacques was working on having Calypso II built. It was to be far more fuel-efficient than the original, employing the technology of Cousteau’s Turbosail. During this time, he engaged in a legal battle with Jean-Michel over the use of the Cousteau family name. Jean-Michel wanted to use the name for a resort in Fiji, but Jacques was adamantly opposed because the resort was a for-profit endeavor, while the Cousteau society was not. He did not want there to be confusion in the public eye. On June 25, 1997, Jacques-Yves Cousteau passed away in his home after a long-term hospitalization for respiratory problems. In his will, he named his wife, Francine, as the legal successor to the Cousteau Society, which owned the rights to his films, inventions, and books. Jean-Michel, however, saw himself as the rightful heir to his father’s legacy. He and Francine have not seen eye-to-eye, and both have moved forward with their own oceanographic projects. While not in harmony with each other, both of them defend their version of carrying on in Jacques’ footsteps. Cousteau was quoted as saying, “If you realize you are only a violin, you can open yourself up to the world by playing your role in the concert.” Not only did he play his role, he left behind multiple records of the concert, to be listened to, used, and improved upon by future generations.